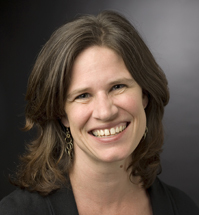 Kelly Musick is Professor and Interim Department Chair of Policy Analysis and Management, Director of the Cornell Population Center, and Professor of Sociology (by courtesy). She received her M.P.A. in economics and public policy from Princeton University in 1996 and her Ph.D. in sociology from the University of Wisconsin-Madison in 2000. She was on the sociology faculty at the University of Southern California before moving to Cornell in 2008. Her research focuses on family change and social inequality. She has taught classes in family demography, population, social statistics, and research methods at the graduate and undergraduate levels. Musick studies changing family patterns, with a focus on how they relate to social inequality and the well-being of family members. She has published on women's childbearing intentions, the quality and stability of cohabiting relationships, social class differences in family formation, well-being in parenting, and the mechanisms linking family environments and child well-being. Current projects expand on these themes to address issues at the intersection of parenting, work, and well-being from a cross-national perspective. One on-going project examines how couples across the income distribution negotiate market work following parenthood. Comparisons are made over time and across countries, with the goal of better understanding how family decision-making is shaped by changing norms and institutions and how these processes in turn play into rising income inequality. Other on-going work examines how parents fare in the context of today’s time-intensive and child-centered mode of parenting. It explores parents' subjective well-being in time with children, with emphasis on the moderating roles of gender, social class, family structure, and parental work arrangements. Broadly, this project speaks to how parents' social and institutional context shapes parenting experiences. Musick's research has been supported by K01 and R01 project awards from the National Institute of Child Health and Human Development and grants from the Russell Sage Foundation and the Swedish Research Council. Hall, Matt, Kelly Musick, and Youngmin Yi. Forthcoming. “Legal Status and the Living Arrangements and Family Formation Experiences of Latino Immigrants.” Population and Development Review. Musick is an active member of the Population Association of America (PAA) and the American Sociological Association (ASA), and founding member of the Work and Family Researchers Network (WFRN). She serves as a consulting editor for Sociological Science, is an International Collaborator of Stockholm University's Linnaeus Center for Social Policy and Family Dynamics in Europe, and is member of the International Nonmarital Childbearing Network.